Shaina Aber is the UCP program director in the Center on Immigration and Justice. Based in Vera’s Los Angeles office, she splits her time between the SAFE Network—a national network of localities committed to providing legal representation to immigrants in deportation proceedings—and the Unaccompanied Children Program, a nationwide initiative to increase access to legal information and representation for unaccompanied children facing removal. Before joining Vera, Shaina served as the policy director at the National Advocacy Office of the Jesuits of the United States and Canada. There she coordinated legislative, administrative, and corporate advocacy efforts for Jesuit leadership, in coordination with grassroots affiliates, with a particular thematic focus on immigrant justice, forced migration, border policy, and human rights issues in Central America’s Northern Triangle. Prior to that she worked at Jesuit Refugee Service/USA, where she was responsible for advocacy efforts promoting solutions for refugees and the forcibly displaced in Latin America and the Caribbean, and analyzing the impact of U.S. asylum, detention and deportation policies. 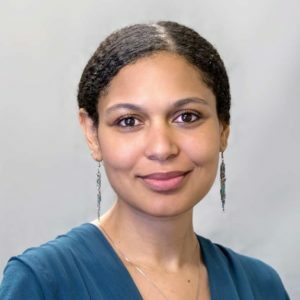 Shaina holds a JD and a Certificate in Refugee and Humanitarian Emergencies from Georgetown University Law Center and a BA in Latin American Studies from Macalester College.